The Rise of Shadows Pre-Release Looms Over Dalaran! It’s Pre-Release season once more, and it feels like the shadows are creeping up on us. There’s certainly something villainous in the offing—scowls and menacing looks abound as the unmistakable scent of E.V.I.L. fills the air. If you haven’t attended a Pre-Release party before, click here for a refresher on what to expect. Pre-Release parties are no longer limited events. This means that anyone can host a Pre-Release, whether you’re an established innkeeper, college student or campus organizer, or simply someone who wants to set up an exciting weekend activity for your family and friends. In addition to opening your packs early, the Rise of Shadows Pre-Release will also feature Fireside Brawls that will let you play with your shiny new cards before the official release. In the Rise of Shadows: No Cards Barred! Brawl, you’ll be able to construct decks using the cards that you open during the Pre-Release event. There are no restrictions on class or duplicates, so go crazy! - There’s also An E.V.I.L. Recipe, a pre-constructed Brawl that will include new deck recipes from the upcoming set for you to play with. You won’t need to have pre-purchased packs in order to play this Brawl, though you might want to do so to maximize your Pre-release experience! Kick things off by heading over to FiresideGatherings.com. Be sure to indicate if your event will be open to the public, or unlisted for just close friends and family. Public events will be approved automatically. For those who want to host private Fireside Gatherings, detailed instructions are available here. 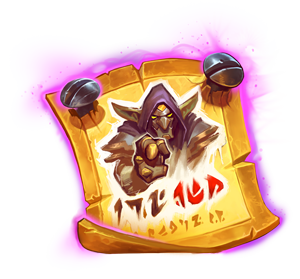 If you’re a college student or campus organizer who is ready to pick up the innkeeper’s apron, you can sign up to host a special Tespa Pre-Release party here. All Fireside Gatherings hosted during the Pre-Release window, whether they’re public or unlisted, will have access to the Pre-Release features. Share your event on social media (Facebook, Twitter, Instagram) with our nifty poster generator. If your event is private, download the poster and send it directly to friends you want to invite. Pre-purchase Rise of Shadows card packs to open during your Pre-release event. Make sure you have enough chairs by the hearth. To help the League of E.V.I.L. with their recruitment needs, we’ve put together some Blizzard-supported Pre-release parties for you to pledge your swords (and shields, and axes) to. More importantly, you’ll also be able to take home some special Rise of Shadows goodies! Supplies are limited, so make sure you get there early! These Pre-release events will all take place from April 5–8. Click on an event below for more details. We’ve also partnered with Microsoft to bring you even more Fireside Gatherings across North America this Pre-release season. Every Microsoft Store will be hosting their own Pre-release, and you’ll be able to find those events on FiresideGatherings.com. We can’t wait for you to try out the new cards, so look for a Pre-Release party close to you . . . and get in there!